Today's 30-Day prompt was "texture". 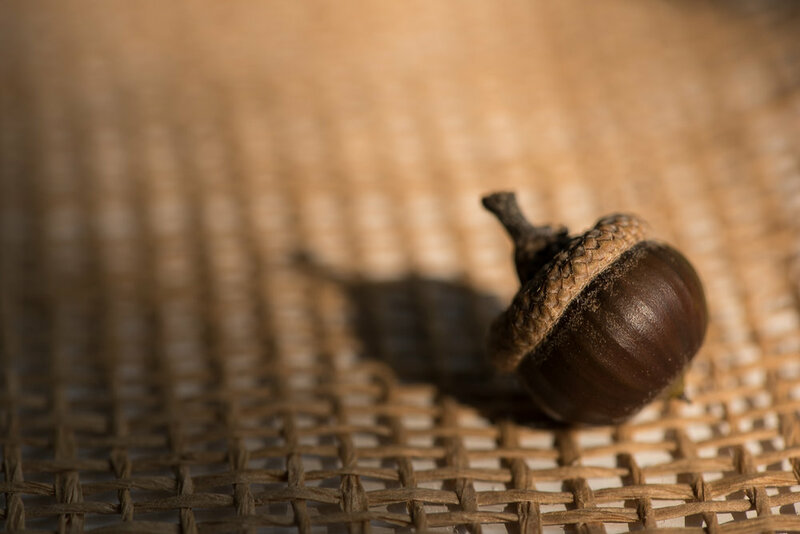 I couldn't think of a better way to show it than by using one of the acorns I brought home from my morning walks on top of a piece of burlap, all shot next to my office window in the late afternoon. I used the "cloudy" white balance because I really wanted to emphasize the warmth of the sunshine streaming through the window as well as the rich golden hues of the browns and golds. As you can probably tell, I've been doing a little re-arranging and re-designing of the blog. I've added galleries that I will be regularly updating, a resource page of all the books and websites I read and study, as well as an informational home page with contact and subscription forms. Feel free to poke around and see what you can find, and as always, thanks again for visiting.